Are Veterans and Conservatives Greater Threat To Security Than muslims? 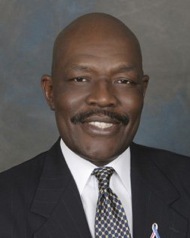 Has anybody heard or seen Obama spring to the microphones and condemn Yusuf Ibrahim? Have you heard the media running 24/7 news updates introduced by macabre music with darkened photos of Ibrahim? Oh, wait, you’re probably saying who is Yusuf Ibrahim. Ibrahim is just another peaceful, Mohammed-loving Muslim who followed the teachings in the book of his so-called religion and ritualistically murdered and dismembered two Coptic Christians in Buena Vista, N.J. which is just outside Philadelphia, PA.
I’m shocked that Obama didn’t say something like if “I had a son he would look like Ibrahim.” After all, that’s what he said about Trayvon Martin after George Zimmerman had shot and killed him in self-defense. MSSA v. Holder, our lawsuit to validate the principles of the Montana Firearms Freedom Act, will have oral argument before the Ninth Circuit Court of Appeals in Portland, Oregon, this coming Monday, March 4th. With many thanks to generous MSSA donors, my costs for travel lodgings and other are covered by MSSA and I will be there. I’ll get you a report when I get back. Most of you will remember that the MFFA uses firearms as the vehicle to challenge federal power to regulate or prohibit basically everything under the enumerated power given to Congress by the states in the Constitution to “regulate commerce … among the several states …”, the Commerce Clause. MSSA advances some fresh and powerful arguments that have never been made in Commerce Clause litigation before (such as the Ninth and Tenth Amendments actually amended the Commerce Clause and its possible implementation). I wrote and submitted an article today to The Daily Caller in Washington, D.C. telling more of the story about MSSA’s Commerce Clause challenge. If that article is published before I leave, I’ll shoot you the link. TWG: Caught in yet ANOTHER basket of lies, obama, soetero, whatever in Hell that evil thing’s name is, is walking back his previous lies as his glassy eyed sheeple guzzle his venom like it’s the sweetest nectar sent from God. GULLIBLE IDIOTS. America’s Demise: Signed, Sealed and Delivered. TWG: The article below is an interesting read. It confirms what those of us who are paying attention have been saying for some time now. Everything is falling into place and the tracks have been laid for us all. Between the 1968 Gun Control Act and the “Operatinal Guide to the IDDRS”, we are headed along the path to our demise. We’re witnessing our own suicide today. Thank a “educator” and the politicians and bureaucrats who’ve worked so diligently to destroy us. Everything in this report is exactly what we’ve suspected. I sure am relieved I have no children to worry about. We’re in for a living HELL, and our descendents will never know Freedom, Liberty and Civil rights. GOD help them. Goodbye America. I miss you, and I’m sorry we didn’t save you in time. We were too busy trying to maintain our jobs, pay our taxes and provide for our Families. We trusted this Government had your, and our, best interests at heart when nothing could be further from the truth. Little did we know we were feeding the very beasts that destroyed you and us. We didn’t know the UN was working behind the scenes to destroy us and we didn’t know that our public “educators” were destroying the minds of our children to erase any Patriotism, Integrity, Morals, Values and Honesty. They replaced those traits with laziness, greediness, dishonesty and to be the fascist-loving obedient little slaves that every dictatorial regime requires. We trusted them with our most Beloved children, only to find out too late that they’ve been brainwashed by those government “educators” to become mindless followers of the enemy that will soon enslave them. We had no idea our own children would be taught to defend and advocate for the very evil that destroyed us all. History proves all of these things are a repeat of the actions of some of the world’s most diabolical tyrants, Hitler, Mussolini et al. The government “educators” have lied to our children in the classrooms and today we see the results of their diabolical efforts. Entire generations of our youth have no idea what they’re doing to themselves, their families, their descendents and to this Nation. THEIR future is quite bleak. Thanks, “educators”. I hate you for what you’ve done to our children, our society and this once great Nation. I hate you so deeply I can taste it, and when all is said and done, I pray you are shoved straight back to the Hell from which you slithered. MORE LEFTY JOURNALISTS SPEAKING OUT ABOUT OBAMA’S THREATS! TWG: OK…OK….. Today I am officially shocked. There are very few things that shock me anymore with regard to the treason and the plethora of high crimes the obama regime commits against this Nation and Her Citizens each and every day, but lefty journalists are beginning to tell the truth about those crimes! Did they get spine transplants? What in Hell happened? Let us pray they continue being honest and that the surgeon performing all those spine transplants has been blessed with the strength to proceed. Bob Woodward isn’t the only person who received threats from the Obama White House. 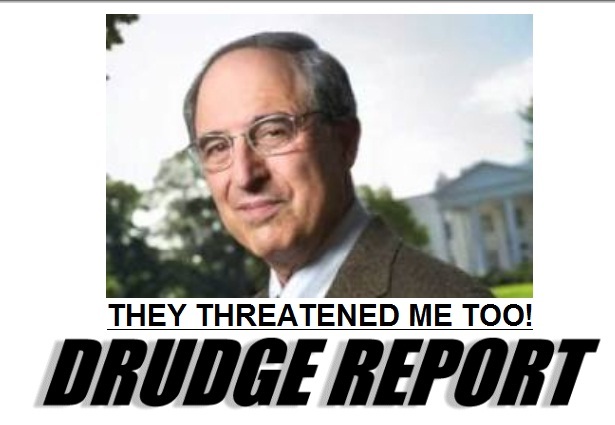 FOX News contributor Lanny Davis said he also received threats from the Obama regime. Bob Woodward isn’t the only person who’s received threats for airing the Obama administration’s dirty laundry. It seems anyone is a potential target of the White House these days – even former senior members of the Clinton administration. A day after Woodward’s claim that a senior White House official had told him he would “regret” writing a column criticizing President Obama’s stance on the sequester, Lanny Davis, a longtime close advisor to President Bill Clinton, told WMAL’s Mornings on the Mall Thursday he had received similar threats for newspaper columns he had written about Obama in the Washington Times. UPDATE: Former AP writer and Editor-in-Chief of the National Journal, Ron Fournier, also received threats from the Obama White House. TWG: Dear GOD. These beasts truly are vile and evil. E-V-I-L in it’s purest sense. We’re going to have to deal with this trash soon. Students at Hunter College in New York City are under fire after they posted a video on the Internet showing them partaking in an eyebrow-raising game. The clip shows the group playing “Abortion Battles” — the title of which gives clues to its contentious attributes. The activity, which has captured the ire of anti-abortion advocates, involves wearing an inflated balloon under one’s shirt. Then, opponents face-off with plastic forks in an effort to pop one another’s faux fetuses…. 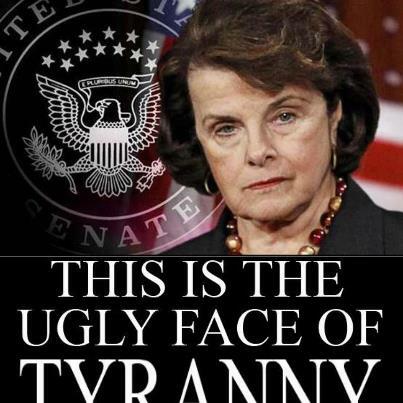 During a scheduled hearing today of the Senate Judiciary Committee, senators clashed over the proposal of U.S. Sen. Dianne Feinstein, D-Calif., that would ban hundreds of types of firearms, including the popular AR-15 rifle and semiautomatic handguns. The bill would also ban magazines that hold more than 10 rounds of ammunition. The Democrat-controlled Senate apparently made sure that the room where the hearing was held was packed with supporters of the gun ban. Attendees cheered witnesses who testified in favor of the ban, particularly when they clashed with Republicans on the committee….